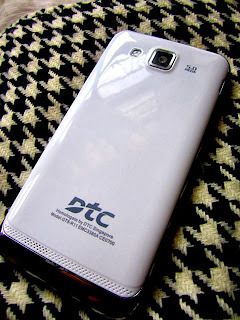 If you’re looking for an elegant designed Android phone, DTC Mobile GT8 could be a good option and choice for you. Aside from the look and design GT8 Astroid Bit has other features that won’t disappoint you and makes it worth to buy. For only 4990 pesos, you’ll be getting a 4.6 inch display phone with 5 megapixels camera. Here’s more, GT8 is powered by 1.2GHz dual core processor with longer battery power of 2500 mAh that will surely last 1 day or more on your regular usage. As you can see on the specs list you can have all the features you want for a smartphone. Form display, a 4.6 inch is quite good resolution that fits and toned with the screen size. For internet and apps users, you can get a good speed on browsing as it is 3G capable and comes with pre-installed social app like Facebook and more. You can also make use of its dual cam features for take a good quality photo that and can be edited and enhanced on some social sites like Instagram. DTC did a price drop on this phone, the first release of GT8 Astroid Bit few months ago cost 5000 plus. One of the recommended phones based on features and design. You can also compare it to DTC Astroid GT7 if you want a bit lower price. Where to buy battery DTC g8 in cagayan de oro city.